Are your feet a deadly weapon? They Could Be. Karate masters can kick through boards and the occasional ribcage, but they’ve got nothing on our Packin’ Feet Socks. 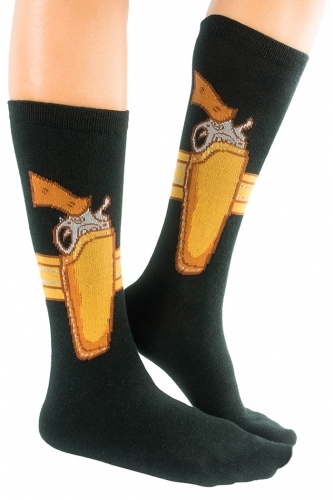 If your tootsies can take out a buffalo at 300 paces, then you might want to holster those bad boys in these socks. With a manly gun design, people will know you mean business…smelly business. Knock ‘em dead. 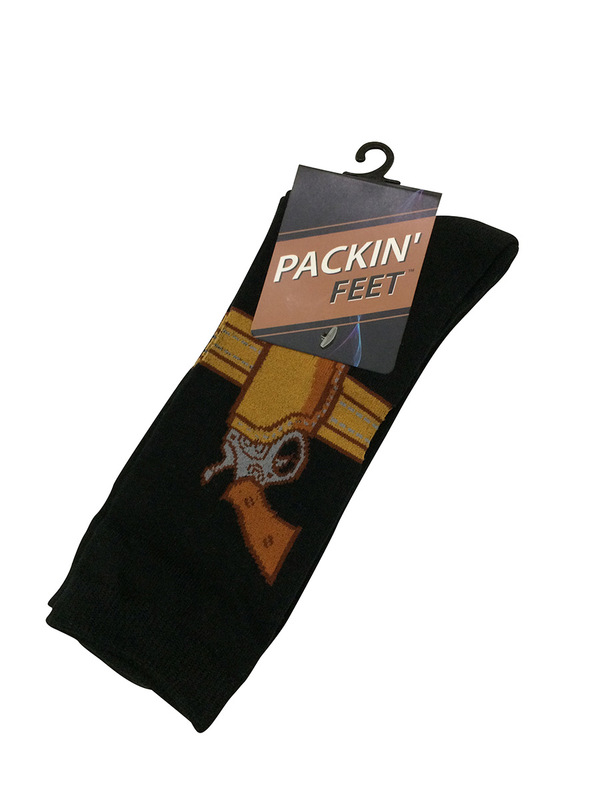 Who Would Love Packin’ Feet Socks? Anyone whose hooves could knock out a maggot will love this dangerous duo. They make it clear that he’s packing some lethal weapons without actually having to take his shoes off. It’s also a great gift for the gun lover of the family or anyone enamored with the Old West. 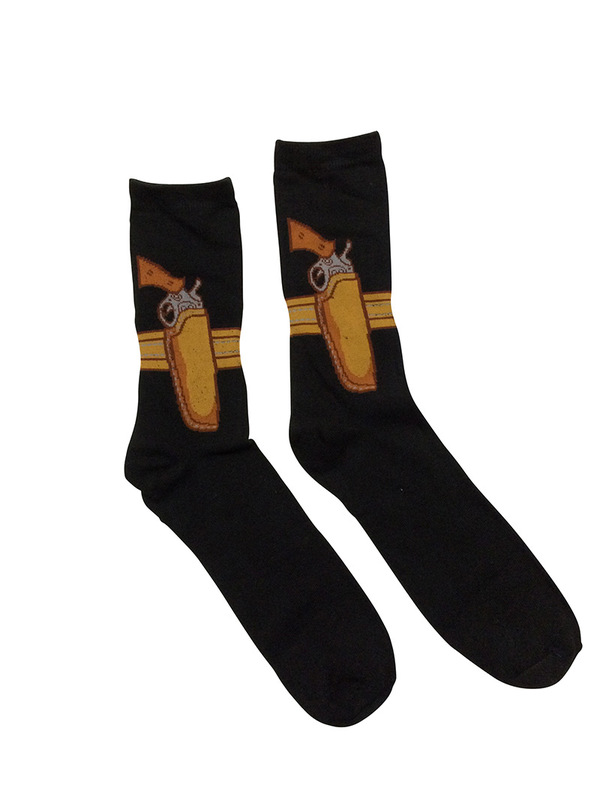 These socks harken back to the days of gunslingers and bad guys, Black Bart and Billie the Kid. The good news is you won’t even shoot your eye out. Can I actually shoot someone? Unless you’re clipping your toenails and one flies off and hits a dude in the eye, your feet aren’t the best “six-shooters” on the market. 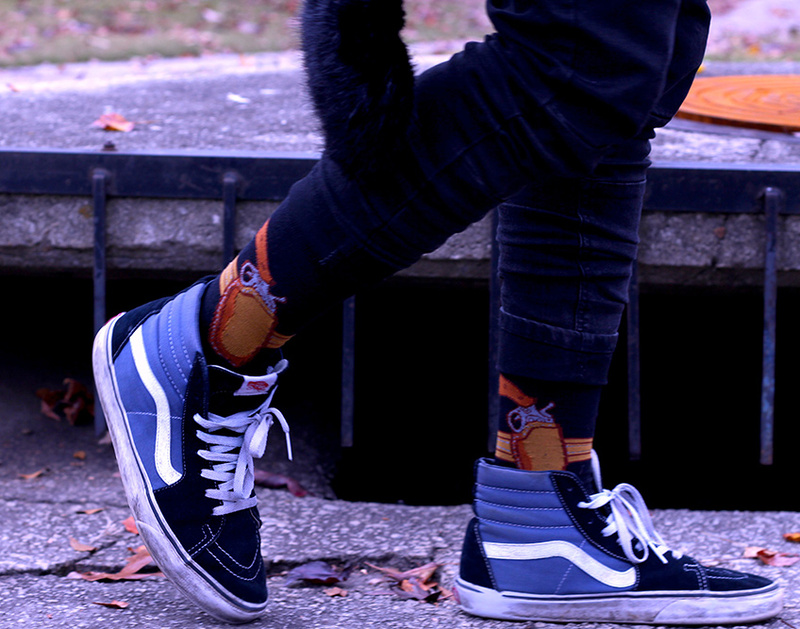 The socks can give them that outlaw feel, but ultimately your feet can be offensive, but not offensive weaponry. If they can be considered a weapon, then wash them…please. Do I need a license to wear these socks? The only license you’re going to need is a license to thrill. Ok, that was lame, we admit that, but it was wide open. These socks do not require a gun license, conceal and carry license, or even a driver’s license for that matter. You can hoof it about town looking like Emilio Estevez from Young Guns…just without the actual guns, Western clothing, friends, and depending on how old you are, youth.